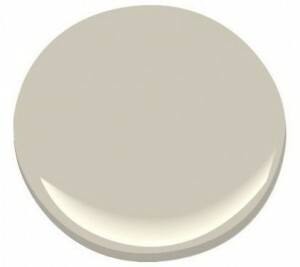 I LOVE choosing paint colors – the fan decks, the paint store, the paint swatches. It can be a fun process but it can also be frustrating as well. I’ll be doing a house tour on the blog this year and I thought that a paint tour would be a fun way to kick it off. So for those that have asked for specific paint colors in the rooms of my house, I’m excited to share that and some helpful tips for you as well. All the paint colors I used in our home are from Benjamin Moore – I use the VOC free paints and I only use flat paint throughout the house. Benjamin Moore and Pottery Barn have nothing to do with this post other than I love their products. When we moved into our home 7 years ago, I had all the colors picked out before me moved in BUT guess what? The colors that I had picked looked horrible in our new home. They clashed with the carpet, were too beige, and just didn’t work. The carpet that our home came with wasn’t our first choice, but considering it was practically brand new and we had other more important things to pay for, we were stuck with it. The paint we chose made the carpet blend in and look so much better. I pulled out the Pottery Barn paint decks and started searching for neutrals that would be gray and beige – greige if you will and came across the lovely Revere Pewter. The living room and dining room have a chair rail – we painted Galveston Gray (2 shades darker than Revere Pewter) on the lower portion. The powder room and my office round out the first floor – they are similar but different colors. The upstairs has been a process and all of the bedrooms have been re-painted at least once as we had a baby in that time, changed rooms, and changed a craft room into a tv room (that’s a story in and of itself). The hallway and laundry room are Revere Pewter. The tv room is Stonington Gray (which is gorgeous!). Our daughter’s room is Water Drops – of course I love this one! Our oldest son’s room is Alaskan Husky – a great soft gray. 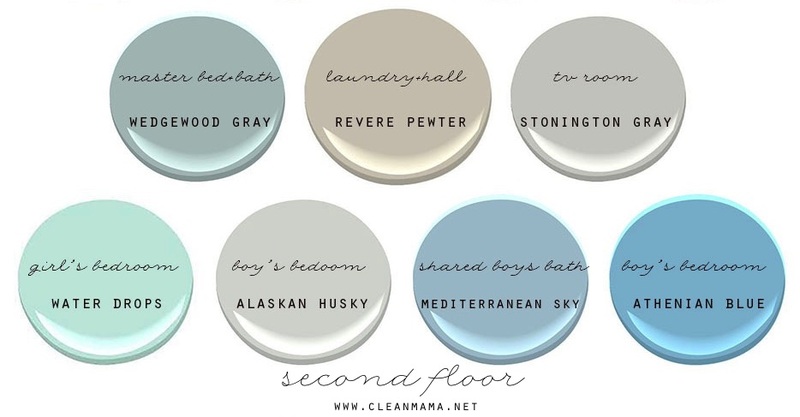 The boys have a shared Jack and Jill bathroom – it’s Mediterranean Sky. The littlest one’s room is this lovely true blue – Athenian Blue. We painted the Master Bedroom and Bathroom Wedgewood Gray – it’s soft blue green that can appear gray. Use pre-picked colors to get started (like the Pottery Barn colors or a brochure from your local paint store). Go slow – don’t choose everything all at once – it might take years to get to your perfect color scheme and that’s okay! Start with a NEUTRAL and build on that. Make sure the paint coordinates/compliments the flooring. Choose colors based on accessories or items that are in the room. 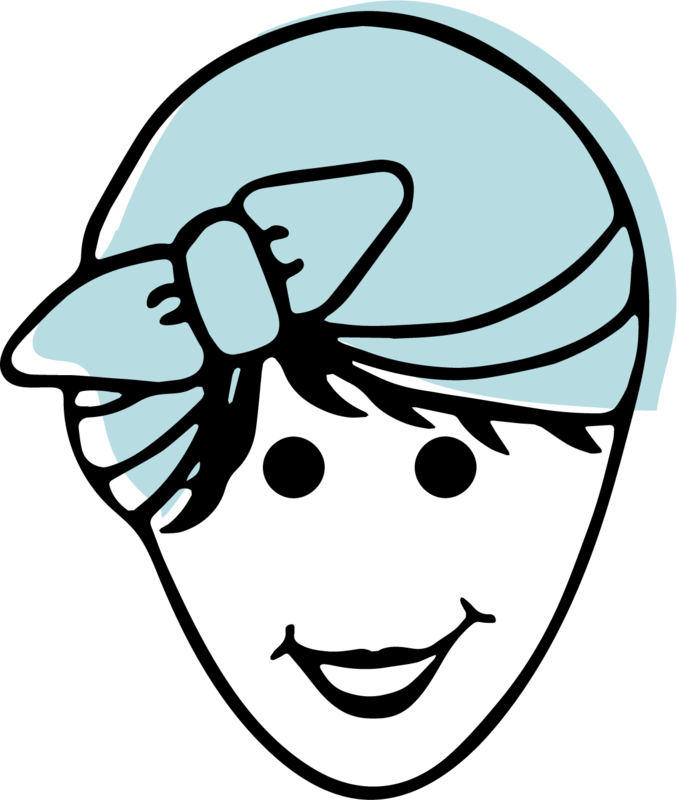 Have you seen my shop Clean Mama Home? Love your colors! And love this post! We finally bought our first home this last year, and I’m really hoping we get to do some painting this spring/summer! But choosing colors… So overwhelming! This is definitely a great help, or, at least, makes me realize I don’t have to make it SO overwhelming. Baby steps! =) Thanks as always Becky!! LOVE those colors! Thanks so much for the inspiration! I saw a picture of a bedroom painted BLACK with white, blue and gray accents. It was LOVELY, I decided to paint my living room and dining room in my mobile home a dark navy blue with billowy white curtains and white trim with a white ceiling. 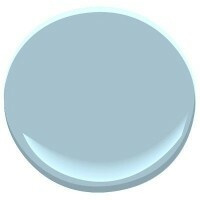 I have been looking at blues and gray and all other color combos but I just couldn’t hit on one thing I liked. I realized that I really DON’T like neutral tans and browns at ALL when I hung curtains with tan background and red print. It just made my living room look SO BLAH! I am going to paint one small section the dark navy and see if I like it first before I make a huge mistake. If anyone has painted a room such a dark color, please tell me what you think of it? My home isn’t like a regular mobile home. I have regular windows and nice floors but I still have that atrocious paneling. I think that I am going to fill all the ridges in with spackle too. It is MY home so I want to make it look the way I want it to look. I am a widow and all my kids are gone and I have been stuck in “MOM and WIFE” land for FAR too long. NOW I can think of ME and what I want! I also am going to thrown everything other people had in MY home AWAY! Liberation!!! I have painted a room a beautiful Orange. I know ORANGE???? Believe it or not, it was beautiful. It looked different at different times of the day. In the morning it was one color, in the late afternoon it took on a beautiful glow, with the sun setting. I say go for it. It’s only paint. you can change it. I left it on my walls for a number of years. I floated all the sheetrock in my doublewide and then painted every room a dark color such as red, peacock blue, and maroon. Except the living room which was sunny yellow and my home was gorgeous! Be bold! My darker, rich colors NEVER made my rooms look smaller. Dark colors tend to make your space look smaller. If you are painting the paneling, unless you are an expert spackler, I do not recommend filling it in and painting. You can make a huge difference with the right paint, but I would clean the paneling very well first and then prime it. If you have your primer tinted, the color will go on easier and more evenly and you can get a richer saturation whatever color you choose. If you really want that dark color, I would recommend painting a feature wall in the dark color and then see how you like it before you continue. Even with white trim and ceiling, dark blue will make it very small. Now if you put up bead board and a chair rail in bright white… have white trim mouldings, white ceilings and door and window frames and only half the wall is solid dark navy… that might work. You could choose one accent color to add some pop… a rich red, a ballet pink, or a deeper pink such as cerise, or perhaps a bright orange. They could be used for some of the pillows, curtains and so forth. But some of the pillows and curtains should be light and neutral or you will feel like you are in a small circus train. A trailer can be glamourous… as the tour buses of celebrities are just mobile homes essentially. It is all in the choice of colors, fabrics, materials and accessories. 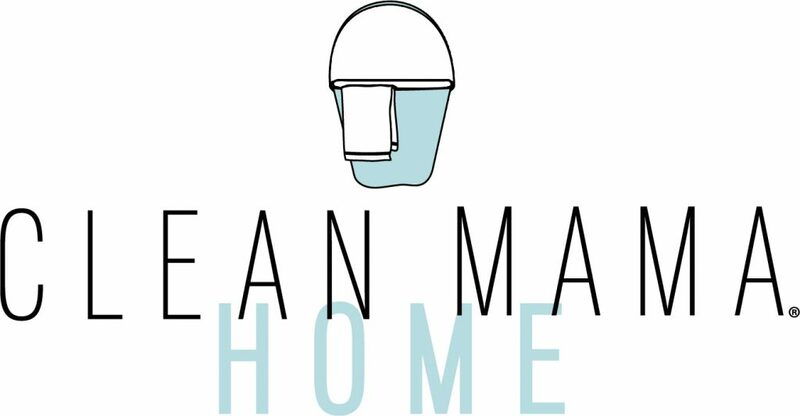 And just as Clean Mama recommends… the only thing I use is Benjamin Moore paint. Talk to your local dealer about the different types of paints for different surfaces and the different finishes such as flat, satin, eggshell, semi-gloss and high gloss. I always use semi-gloss for trim (high gloss in kitchens and bathrooms) for the easier cleaning factors. Another choice which you might like is using a paler version of one of the accent colors like a ballet pink or a peach and the white trim and ceiling . Then you could use gray as an accent color in wood furniture pieces, pillows, have deeper pink curtains and pillows as well or orange if you choose peach. It kind of flips it upside down but adds warmth and will seem larger. 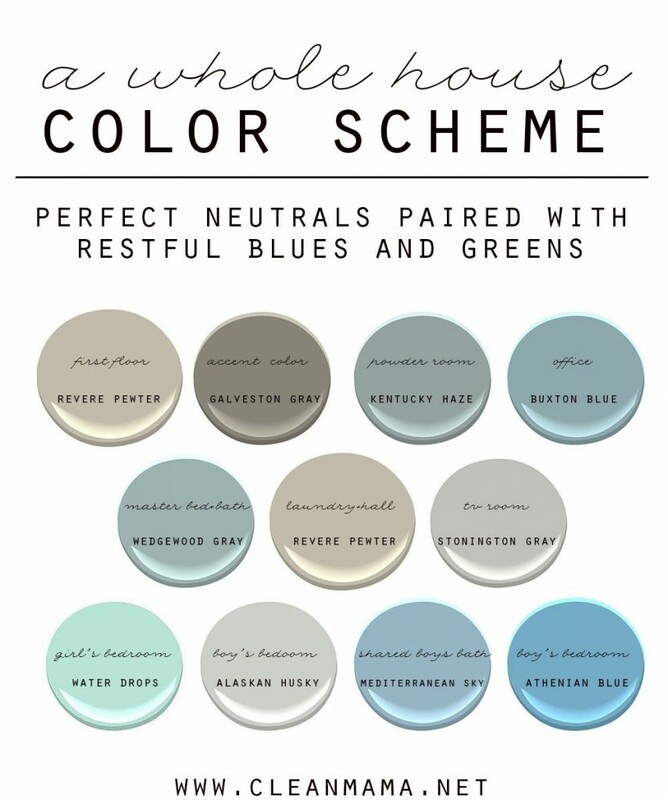 I love the paint palette that Clean Mama uses in her home, but I also have pinks and roses, and cerise… also deeper shades of blue… and mint, pinks and grays make a nice combo also. Bonnie Jean WOW! I love all of those suggestions. I never would have paired pink with the blue but my mind is just twirling around these colors in my head. I think Robin will have fun fun fun with that. This was a fabulous post, and the palette is beautiful. It’s been a year that I’ve admired different pictures of your home when you published them. I told myself “How come she has the same taste in colors than I do. I always loved blue and turquoise and at least one room in every apartment, condo or house I lived in was in a shade of these two colors. Recently, we were wondering what would fit nicely with our disparate furniture and our upholstered sofa in the living room and the family room. The Greige color is my answer. I will keep this decoration article in my Pinterest so that I remember which color to choose when comes Springtime. I am your TWIN (except I’m this way about Sherwin-Williams)! Paint is the EASIEST way to update your house without breaking the budget! Love, love LOVE this post!!!! I love all of your colors! 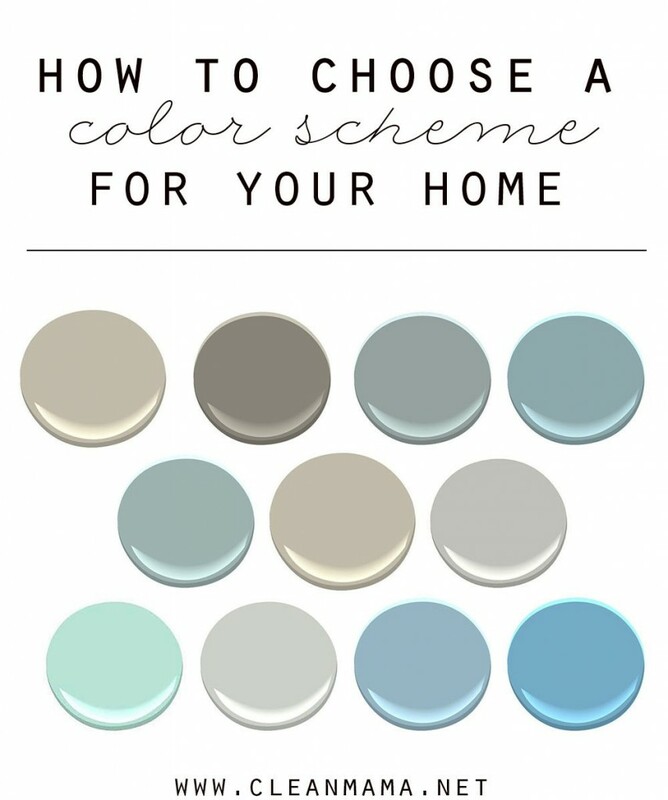 Your steps on choosing colors are very helpful! I love this color tour! And what’s so funny is that our house is pretty much the same color scheme as yours!! I LOVE revere pewter and have that color all over the house! It’s the BEST color, isn’t it? You mentioned that you use only flat paint throughout your house. Can I ask why? I was always told some form eggshell was the best for cleanability, especially if you have kids or dogs. Do you also use it in bathrooms? By the way, LOVE your blog! It’s just my personal preference – I like the way it looks and I have found that when touching up paint it’s seamless whereas with eggshell or semigloss I’ve found that I can see where it was touched up. Thanks Linda! This is kind of a silly question, but how do you get the paint colors on those perfect round swatches for your posts? I’m trying to put some digital presentation boards together and can’t figure out how to do this! Thank you! It’s just what I found from Benjamin Moore’s swatches online – I used PhotoShop. We just bought a house built in 1926. It’s a brick English Tudor and it’s so adorable and reminds us of a cottage! We are getting the hardwood floors refinished right now. We are going with Jacobean which is a dark brown. Your colors are just what I was looking for to go well with our floors! I wanted cooler colors with some warmth. Do you have examples of these colors on your walls? How fun! I’m working on adding to this series all year – stay tuned! 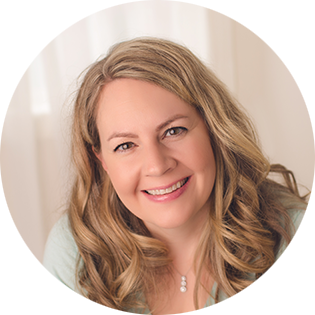 Love your new blog series…so helpful and inspirational!! I wondered if Maybe i missed it, but what is the color of your kitchen? Would you recommend the Revere Pewter with darker woodwork? I love your colors! Are there any actual photos? You have impeccable taste! I love each and every one of these. thanks for narrowing down a daunting task! Hi! Just curious on why you pick Flat paint? I love the look of it but with kids it’s almost impossible…just wanted your take on why, thanks! What color did you choose for the trim? I love these colors and your blog! I’m curious to know why you always choose flat colors of paint. I usually choose semi gloss for walls, thinking it’s easier to clean than flat,but would like your opinion. I am getting ready to repaint…. Thanks for sharing! It’s a personal preference – I like the way it looks without the sheen and I find that for touch-ups it is easier because you can’t see where the paint was fixed. I Love your colors. This helps so much with choosing the right colors for my 1911 craftsmen home. i was wonder what color did you paint the ceiling? I love your color scheme. I am looking for a way to balance colors my husband is comfortable with and what I am. This has helped a great deal. And it makes me feel better that it is taking a while to decide. I have oak trim in a medium dark. Suggestions for paint colors? I absolutely LOVE your choice of colors! I just renovated my kitchen, to create an open floor plan. I have white cabinets, gray island, white quartz countertops with some gray lines, stainless steel appliances, and a backsplash that ties in all of the colors beautifully. I painted the kitchen Revere Pewter. I’m also paiinting the whole top floor revere pewter (like you did) (great minds think alike! LOL!). Here is where I am stumped … My husband wants an accent wall in the living room. That’s the only true wall we have, as the dining room ihas a HUGE window, on one side, and large patio doors leading to the deck on the other side. I am thinking of the Stonington Gray or the Galveston Gray for the living room wall, and continuing that color into the connecting dining room wall (although most of that wall is Windows). Any thoughts? We have a lot of natural light because we have a lot of Windows. Also, for our bedroom, which is also on the top floor, I’m thinking of painting it Stonington Gray, Wedgewood gray, or Alaskan husky. Any thoughts? I, too, am beiged-out! I painted my Dining room red once and the day after i sold the house because of that.. She loved the room.. Crazy. Love these colors! What brand paint are they offered through? You are literally an answer to a pray I hadn’t even prayed yet. My husband just asked me Saturday to find someone who could help us pick paint colors, and here you are! I’m older than you but I want to grow up to run my home like you run yours. Thank you, thank you, thank you for blessing us with your gifts and wisdom. I have a small bathroom with no natural light. Would Wedgwood or Kentucky Haze be too dark? Thanks.